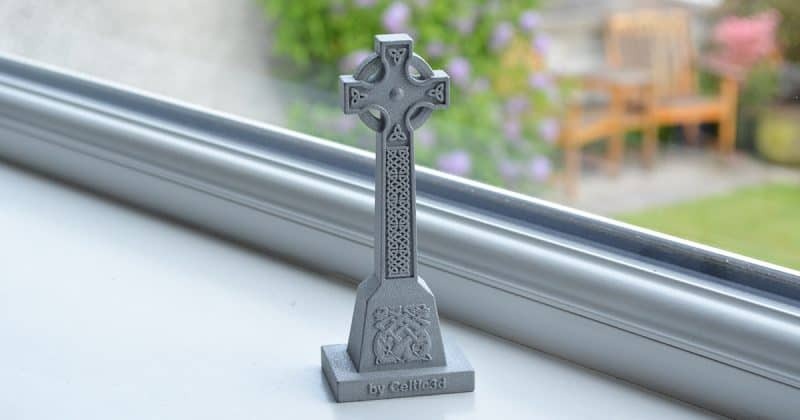 Celtic3d specializes in 3d modelling for 3d print and digital fabrication. We take your CAD files, 2d plans or sketches and turn your ideas into physical objects in a range of materials. Most of our work is in scale models rather than functional parts. 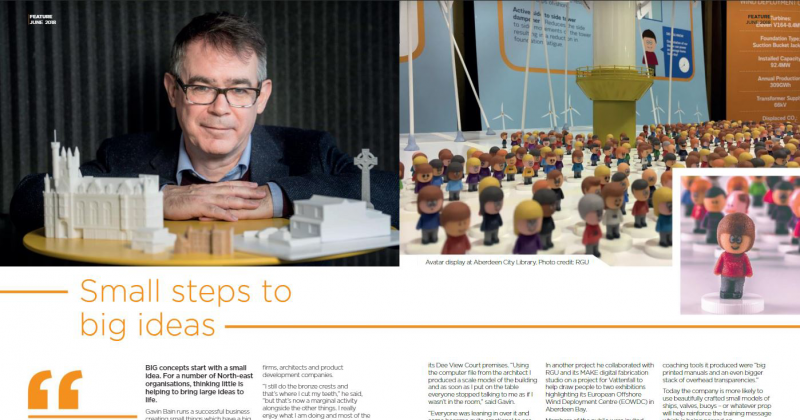 Nothing grabs attention and communicates an idea quite as well as a physical model. We work with you to choose an appropriate scale and material and make sure the model is not only the right shape, it also has the right look and gives the right impression. 3d printed models are an excellent way to prototype your design or help you engage more effectively with your customers. Our past projects range from detailed architectural models incorporating lift-off sections and internal detail, scale models of large subsea equipment and reduced weight versions of equipment that can be hand-carried to client presentations. While additive manufacturing (3d printing) is our core business, we also incorporate more traditional materials and techniques where these make sense. For example, we use CNC for cut sheet and engraving in wood and plastics where that would give a better finished result. We also produce a range of our own designs which we manufacture to order. Our main value is in the digital design process where we prepare your digital model for manufacture. For most jobs, we follow that through, manufacture and finish the part and provide a transit or presentation case as a one-stop service. We also offer a repair and maintenance aftercare service to keep your models looking sharp. We use industry-leading digital manufacturing services that give access to the latest technology and factory-scale capabilities. 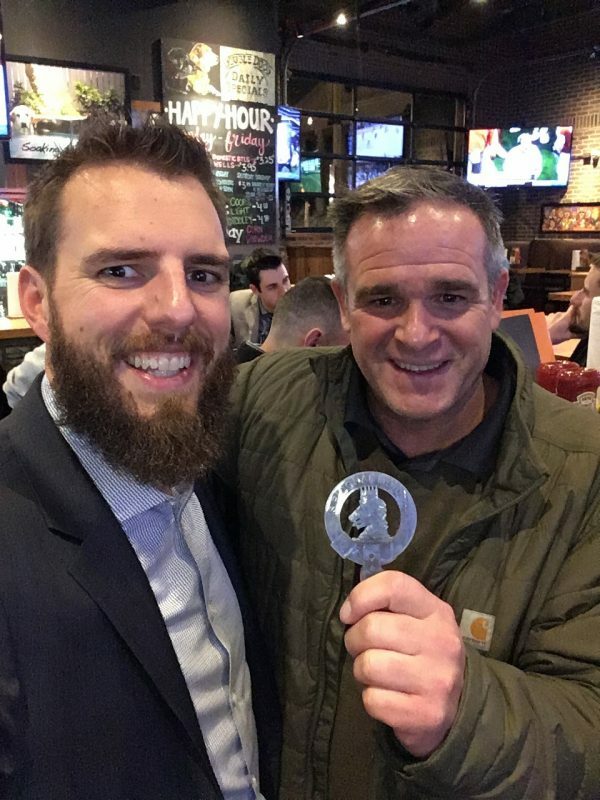 We have also established a network of local 3d printing and digital design companies we regularly work with on collaborative projects that pool and share our respective expertise and capabilities. Make your design the centre of attention. Create more impact with a model. Show off your equipment, explain how it works and engage better with your audience. 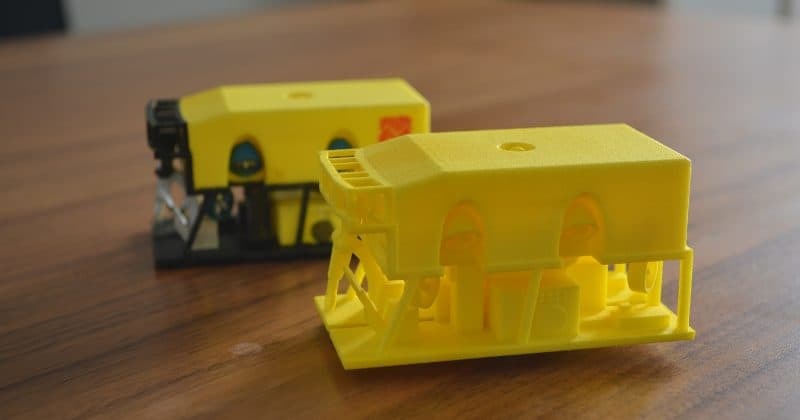 3d printed scale models from your CAD files. Communicate your design in the most intuitive and engaging way possible. 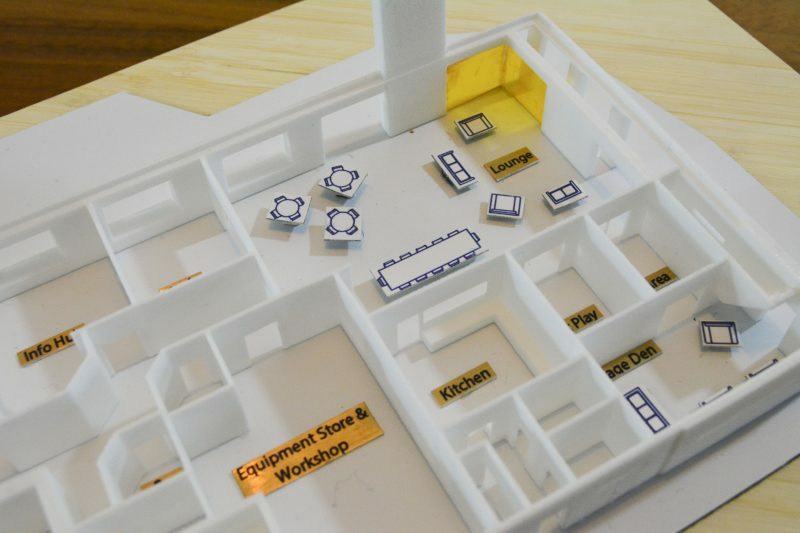 3d printed scale models from your Revit or SketchUp projects, or from reference images. Scottish Themed designs made-to-order. Including our Clan Crest Collection. 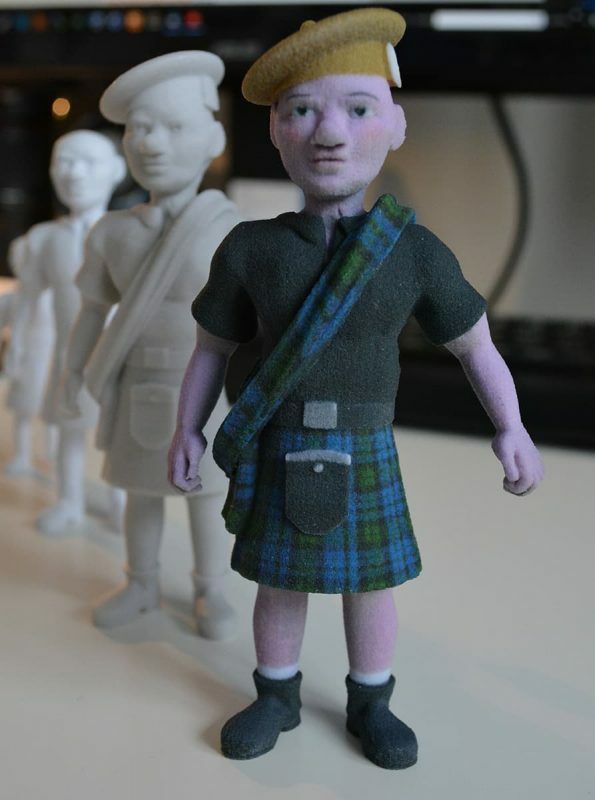 Browse our range of Scottish themed designs 3d printed to order in metals, plastics and ceramics. 3d model files and other resources for hobby or professional use. 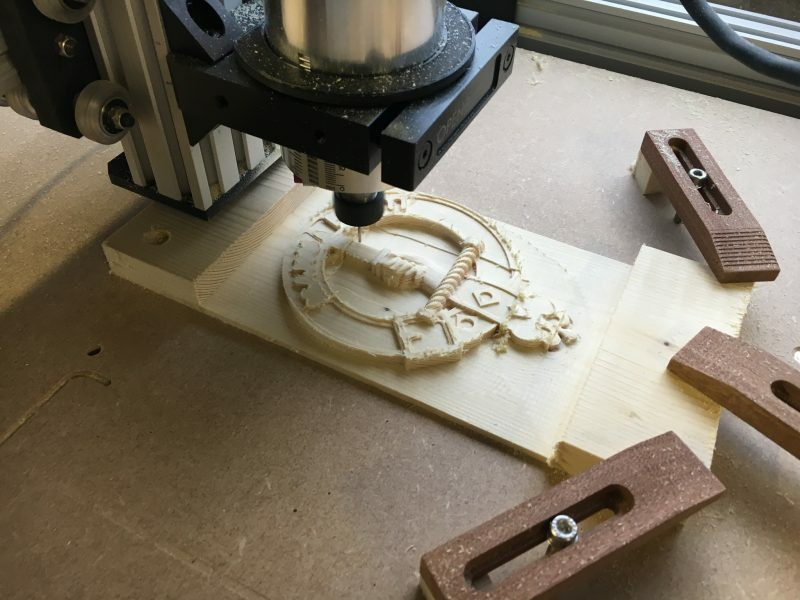 If you have access to your own 3d printer or CNC router, we have a range of 3d Model Files available to download. Add us to your social channels. "As well as producing a fantastic high quality 3d model, Gavin was great to work with. 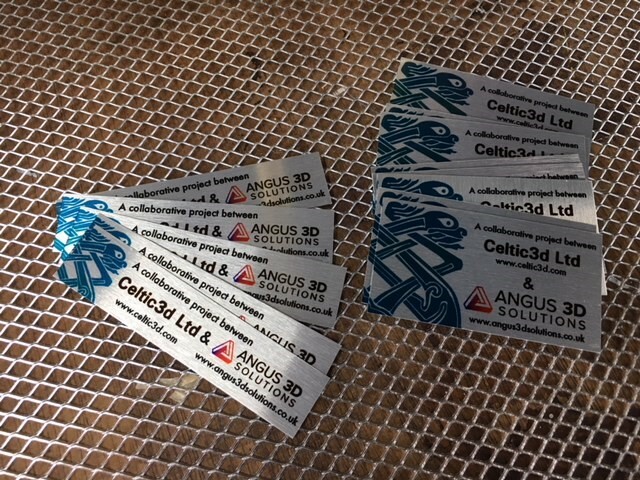 He has a clear passion for his business and is a true professional, we would highly recommend Celtic3d." 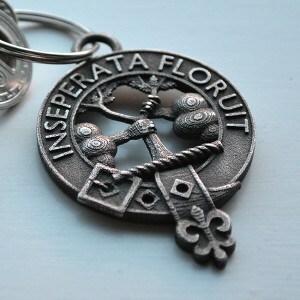 "...[Celtic3d] creates gorgeous keychains inspired by the deep traditional heritage of Scotland. Most of Gavin’s designs are customizable, reflecting his (and our!) belief that personalization is a key component to the success of his Shapeways shop." "Gavin has not only created a fantastic product for Charlie House, but helped us decide what type of model would best suit our needs. He has been a delight to work with and continues to support Charlie House with his expertise which has been invaluable. 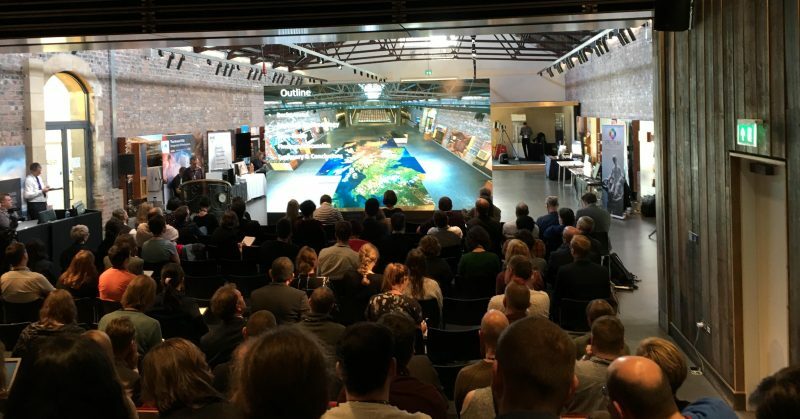 I would highly recommend you speak to Gavin if you are considering a 3d model for your business, or if you are just curious to find out more." 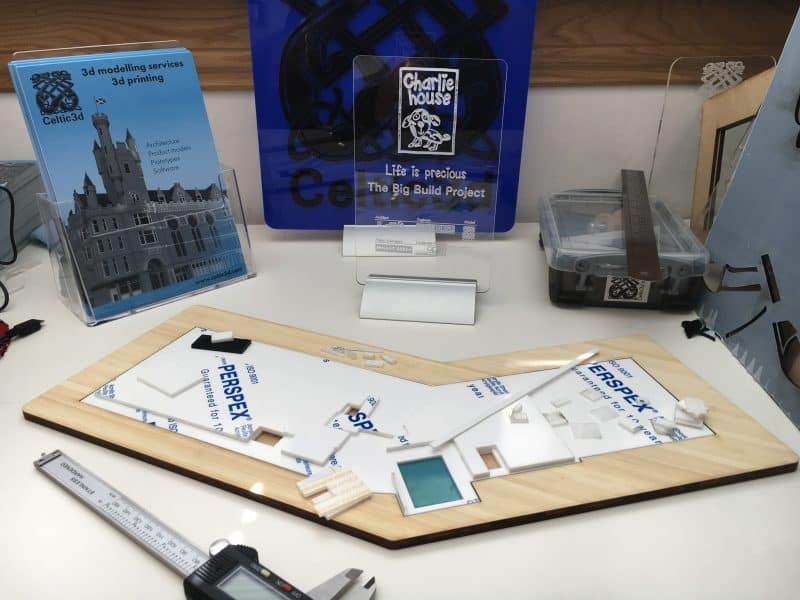 "I'm forever using the model [Celtic3d] made of Dee View Court as part of our talks/tours to show people the scale of the expansion - it's such a valuable tool for us, thank you!" We can offer over 20 different materials with hundreds of possible surface finishes. Here is a small selection of our most commonly used materials. Often (especially for architectural models) there is a need for large flat surfaces. While it would be possible to 3d print large flat planes, it is much better (and cheaper) to incorporate sheet materials into the model where appropriate. We laser-cut sheet acrylic and sheet ply-wood for many of our models. Having the 3d model file as a starting point, the processes to prepare a job for 3d printing is very similar to the process needed to prepare a job for laser-cutting. Expanding our use of digital manufacturing, we recently added a CNC machine so that we could work with a wider range and thicker materials. This opens up the possibility of adding carved wood and plastic parts to our models. We frequently use our CNC machine to make custom wooden bases or presentation cases for our models. Polyamide (PA12) is a robust nylon material. Usually used with “Selective Laser Sintering” where a very fine powder is fused into a solid by laser, layer-by-layer. The advantage of powder-based materials is that the loose powder provides support during the manufacturing process which makes it possible to print complex shapes that would otherwise need additional supports to be created. PA is an excellent material for scale models. It takes colour well and is tough enough to make articulated joints and withstand handling if the model will be used to demonstrate operation. Default colour: white. Can be dip-dyed or sealed, primed and airbrushed to the desired colour. Surface finish: Good levels of detail with a slightly grainy feel. 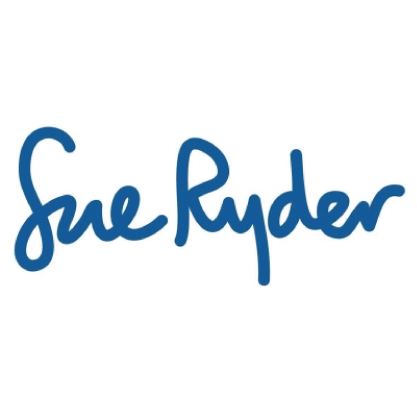 Can be printed at thicknesses of 1mm (or slightly less). The unfinished material is porous, but can be impregnated with a sealant or given a coat of acrylic varnish to protect from stains. Alumide is a Polyamide (PA) nylon infused with a low percentage of aluminium powder. The Aluminium powder improves strength, makes the material more rigid and increases the heat range. When used with a grey PA base material, the aluminium powder takes on the look of silica in granite. For that reason, we sometimes use Alumide to represent granite in architectural models. While the surface finish is excellent, the trade-off is that Alumide cannot be printed quite as thin and does not support the same levels of fine detail as PA.
Gypsum powder fused with a binder (similar to superglue) and coloured using inkjet technology. Excellent for decorative parts requiring colour but the parts are quite brittle and will break if dropped. Colours are improved if the surface is treated with a clear sealant. Laser sintered steel powder which is then reinforced by wicking in molten bronze. 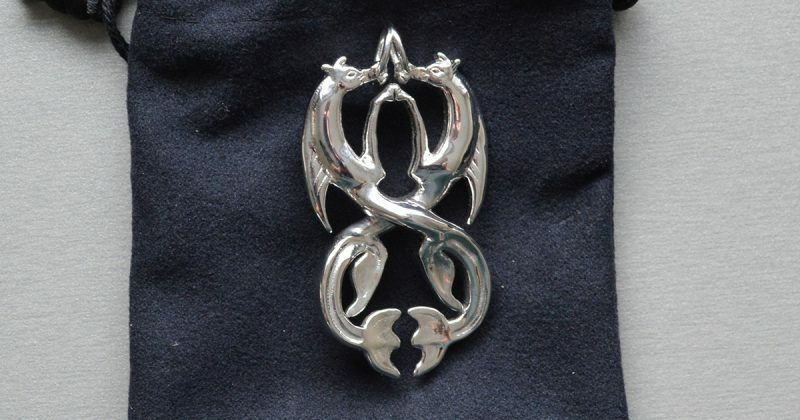 Can be plated in nickel, chrome or gold. Inexpensive starter tier for 3d printed metals. Useful for decorative parts. Not suitable for load-bearing parts due to the lack of certification covering the manufacturing process. The finish can be variable as it depends on the placement of parts in the furnace when the molten bronze is wicked into the part. We like the aged metal look that is achieved as this lends itself very well to our clan crest collections. A master version is 3d printed in a wax-like material. An investment casting process is then used where a mould is made around the 3d printed master and the wax part is burned-out when molten bronze is poured into the mould. We like the way this brings together digital manufacture with casting techniques that have been around for millenia. After casting, the part is polished and finished with a PU coating to protect against tarnishing. Similar to brass, we use high density 3d models to make sure we make best use of the high quality potential of the material. 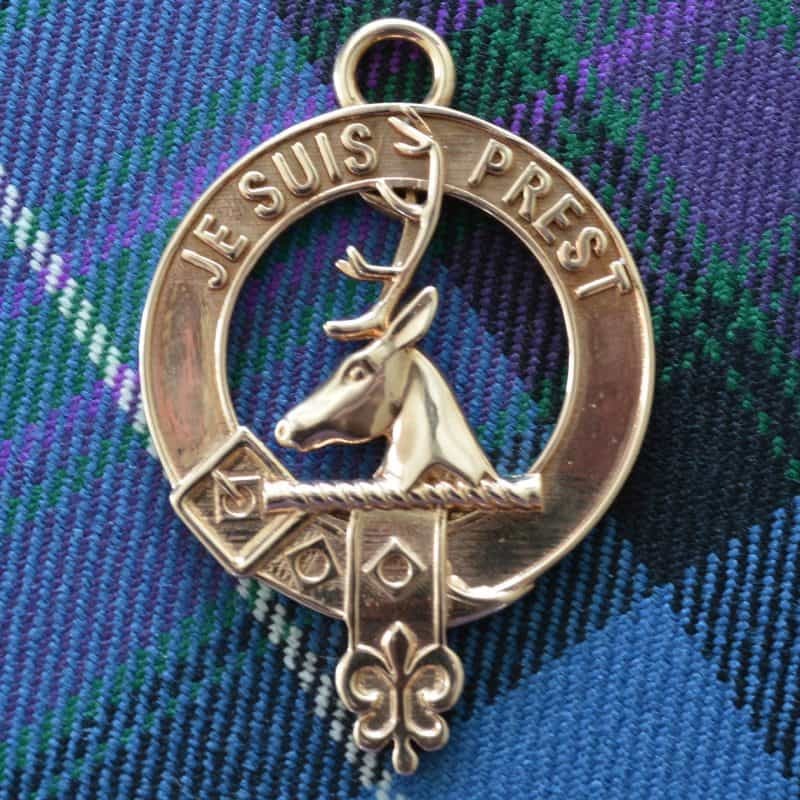 This is our favourite material for our clan crest collection, it gives beautiful results that look and feel high-quality. The part is 3d printed in a wax-like material suitable for investment casting. A mould is formed around the 3d-printed part and molten brass is poured into the mould. The brass part is then polished and can be plated in precious-metals. We particularly like rhodium plating for a beautiful finish that would not look out of place in a jewellers shop. Brass parts are much higher quality than the cheaper laser sintered steel. We use higher density 3d models for this process to get the best possible surface finish. Formed from a photoreactive liquid using Stereolithography (SLA). A laser cures the resin layer-by-layer as the finished object is gradually drawn up out of the liquid. There are a wide range of resins, some of which can closely represent the properties of plastics and finishes used in injection moulding. 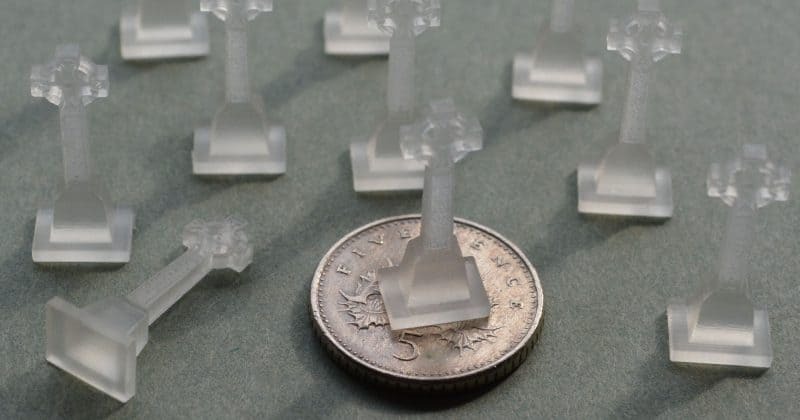 Resin can be an excellent way to prototype products before committing to expensive tooling required for injection moulding. Resin parts can have very high levels of detail and very smooth surface finishes. Models often require high quality labels or information panels. We can print full colour labels on aluminium sheet in a range of finishes to incorporate your logo, artwork or text in the model.